We may introduce the diving Team in Fuerteventura. As Remo and Ebru decided to settle down in Germany, we convinced Celine to stay a little longer with us. 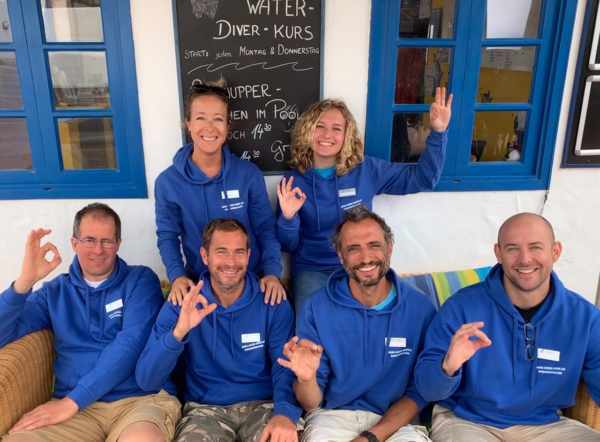 Celine did here Rescue – Divemaster and Instructor Course together with us, therefore she already knows how it works. Basti, Sylvie & Tobias are well-known and still here. To increase our service we got as well to new trainees. Torsten already got his Divemaster license and he will go with us threw his IDC. Matteo just arrived yesterday, he is looking forward to becoming a Divemaster soon.